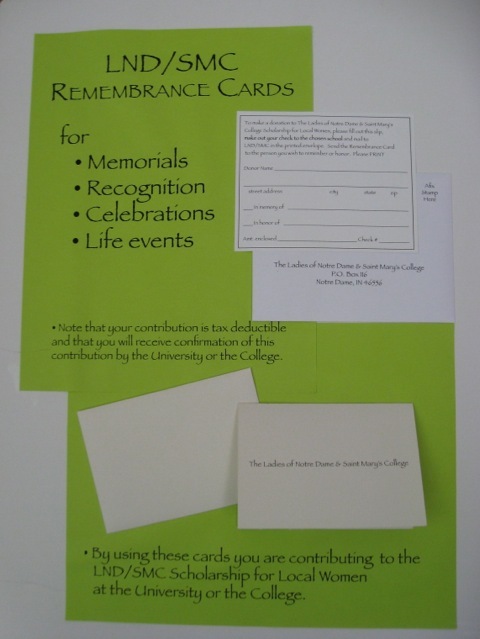 The donation from Remembrance Cards contribute to the Scholarship for Local Women of Notre Dame and Saint Mary’s College. In the past year, the Remembrance Cards have raised $1,300 which have been contributed to the scholarship fund. To obtain the Remembrance Card packet, please send an email to the Assistant Treasurer, Corinne DeTrempe.